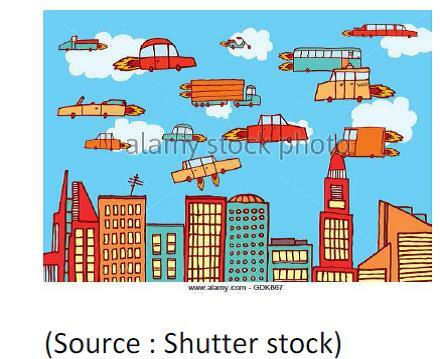 A flying car is a personal commuting vehicle capable of flying like an aircraft as well as running on the ground. These vehicles can take off from the doorstep to the destination along with the advantage of moving on the roads as needed. In addition, it doesn’t show up any visible means of lift, which makes it easy to fly at lower altitudes in the present concrete jungles. It was in 1903, Wright Brothers took off with their flyer in Kitty Hawk, a town in North Carolina, laying path for many aviation enthusiasts to chase the dream of flying car. Though the following century has seen many breathtaking achievements in aviation, it was only the first few years that laid the foundation for this adventure. With each milestone achieved, new possibilities for further developments presented themselves. 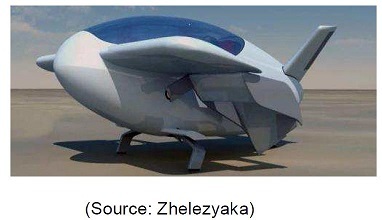 In 2013, a single-seater VTOL aircraft named as Xplorair PX200 was exhibited, a project that was initially funded by the Government of France and later supported by many other aerospace firms. This aircraft is based on Coanda effect, and uses a plurality of small jet engines that are integrated in the wings. This neither uses a rolling nor a rotating wing for takeoff or landing. A full-scale drone is scheduled for flight at Paris Air Show 2017, followed by the commercialization of a single-seater flying car in the years after. 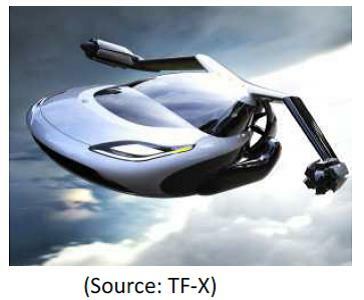 Terrafugia, a privately held company based in Woburn, MA is under a mission to create practical flying cars that are expected to take to the skies in 2018. This would be a four seater aero car with a cruising speed of 200 mph. John Emory Harriman filed the first patent (US972448 titled “flying machine”) for an aerocar in 1910, but was never built. 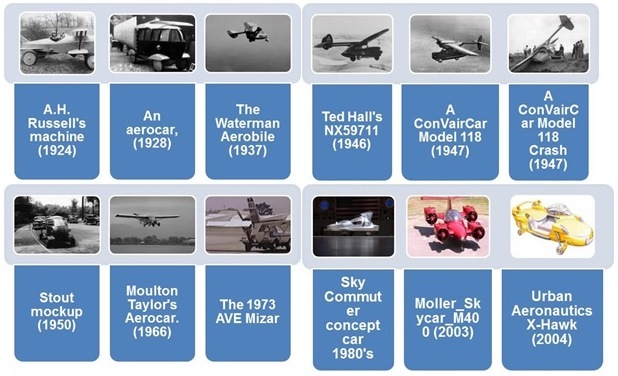 There are around 1000+ patents worldwide for various kinds of flying cars. An interesting fact that was drawn out of our patent search is that the major IP share belongs to the researchers from Universities, than the auto-makers. Some of these have actually flown. Most have not. And all have come up short of reaching the goal of the mass-produced flying car. Flying cars still feel like the stuff of science fiction despite a number of breakthroughs in recent years, but a few manufacturers are hoping to bring the technology to the masses. With the years to come, we hope to see an increased patenting activity, and the flying cars in the sky.